You know those salads that always stick around in your head and you can never get them out because they’re that.good? Well. That’s Caprese for me. 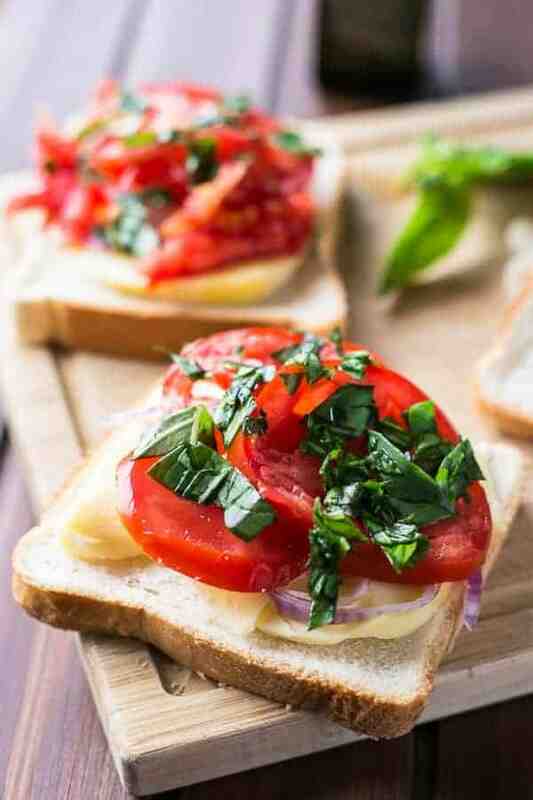 There’s something about mozzarella cheese paired with fresh tomato slices and basil that makes me swoon. Yes. Swoon. 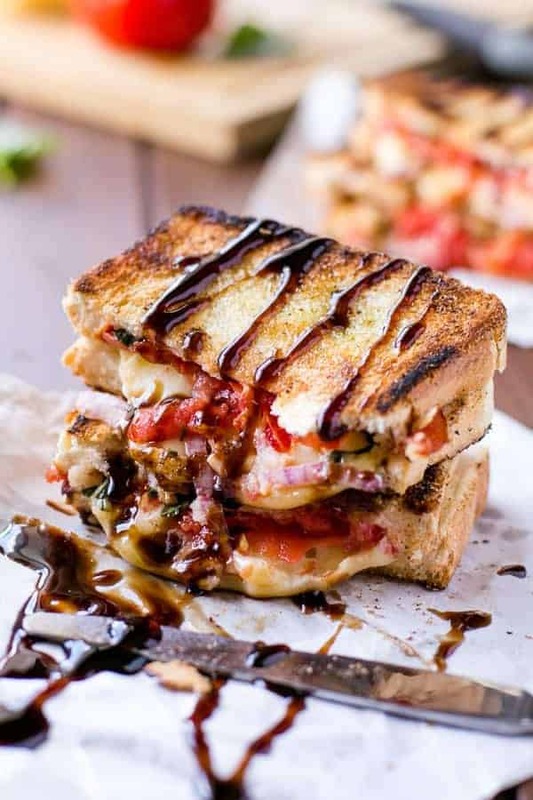 And then drizzling balsamic glaze over the top of anything makes anything just that much more incredible. So…that’s what happened here. Sort of. 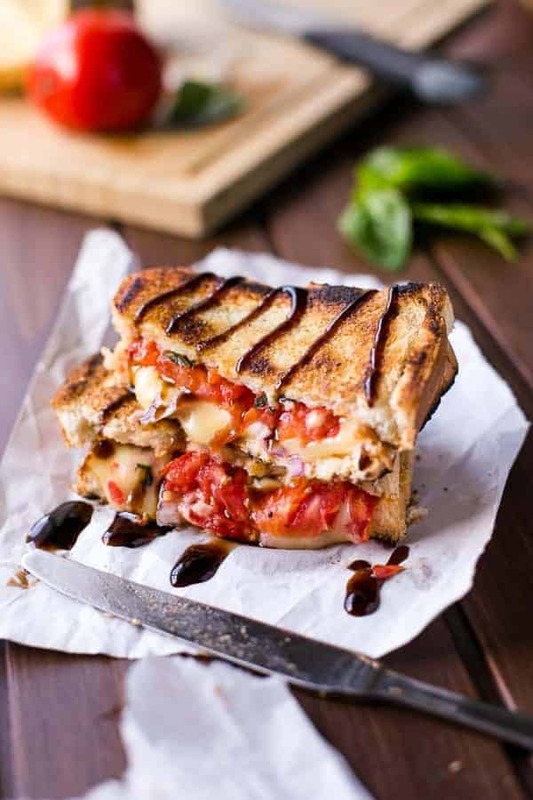 I wanted Caprese, but I wanted a toasted sandwich. The dilemma was too much for me to handle. So, what did I do? Ummmm — well I kinda combined them. You may have started to notice a trend. Besides the melted cheese, pizzeria, crusty bread trend that I seem to be on right now, you’ve probably notice that I break out into a song with just about every post. You know why? → Because food makes me happy. Food makes me sing. See? It’s not my fault. That thick, fresh, sourdough bread still-warm-from-the-bakery-smell drove me nuts all the way home. The smell of fresh bread. Something that I love slathering butter all over. But no. It’s ‘be healthy’ time. Fresh basil leaves and really ripe juicy tomatoes time. With maybe some red onion slices thrown in. Because, I love onion. 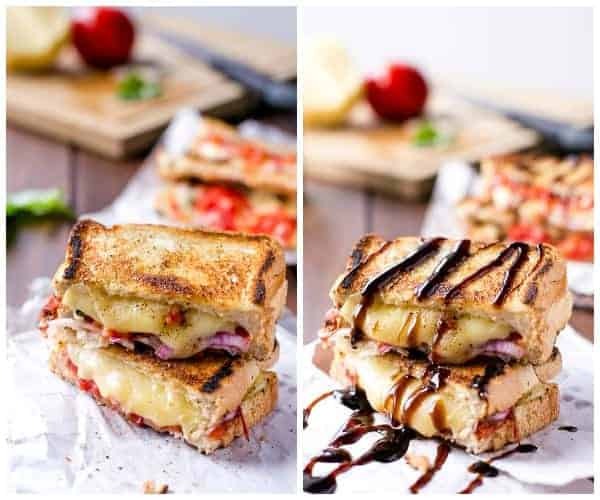 This combination made into a grilled cheese will have you dancing on the tables in your living room like you’re in the Isle of Capri somewhere with a fiery red dress dancing to…oh wait. Sorry. That’s just me. Maybe. 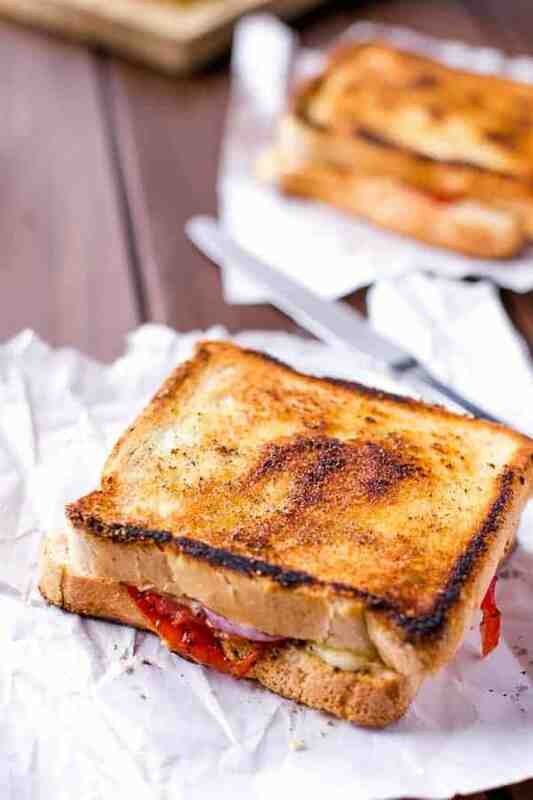 And the thicker those mozzarella slices, the more melted cheesy haven you’ll have oozing out of your samich. I just said oozing. Oh dear. 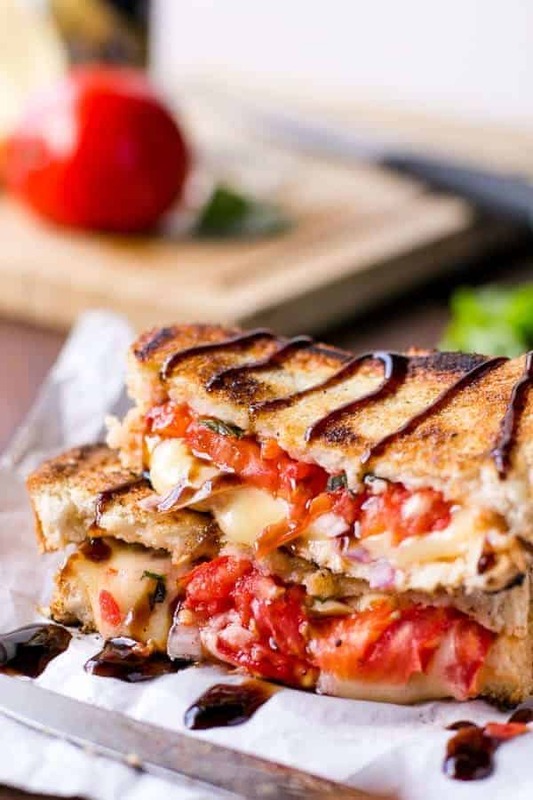 Breakfast, lunch or dinner…I’ll have a Caprese Grilled Cheese thanks. Is it just me, or does that rhyme like a rapper? 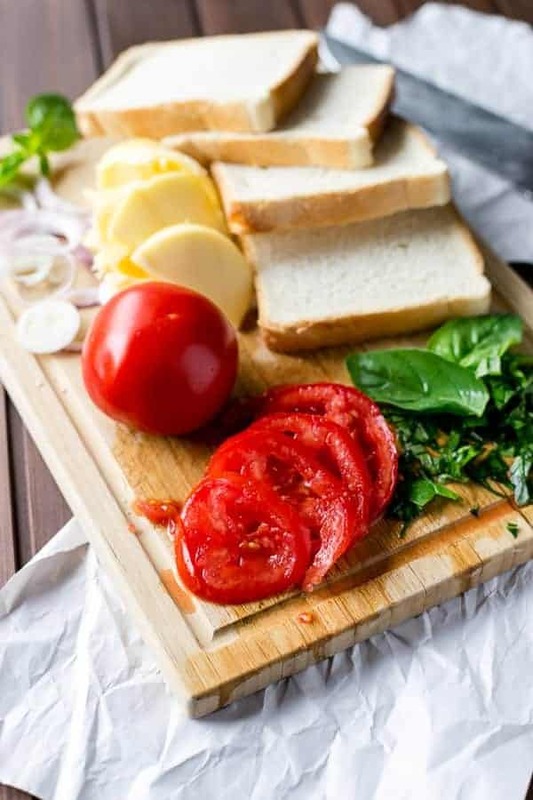 Layer 2 pieces of the bread with cheese slices, tomatoes, onion slices and chopped basil. Top both pieces with remaining bread, and brush over the outside of the sandwich with the garlic olive oil. Cook on a pre heated nonstick pan/skillet over low - medium heat sprayed with cooking oil (or a drizzle of olive oil) until brown and golden on both sides and cheese has melted. You can also cover the pan with a lid to ensure melty cheese. 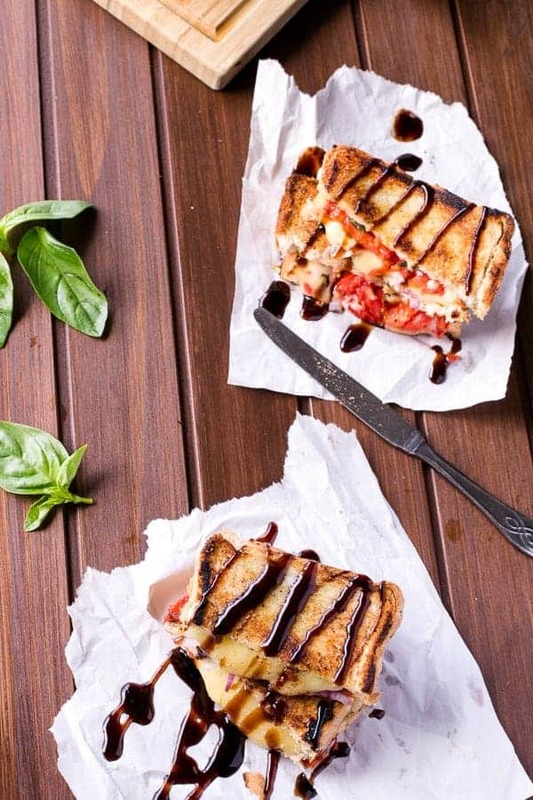 To serve, drizzle with balsamic vinegar. Enjoy! Looks great and is very tasty, now I have finished eating. 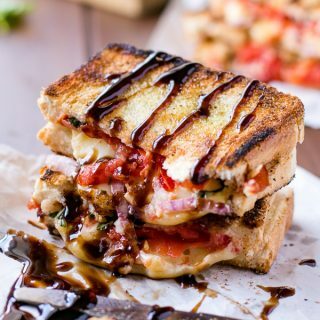 As an Italian, I have to say this is my sort of grilled cheese! lol Looks delicious!! !